An analyst has mixed feelings about the iPhone X pricing and release schedule, and believes that it may drive Apple's valuation to new heights —but if it is not well accepted, then it will eat into the company's earnings for years to come. 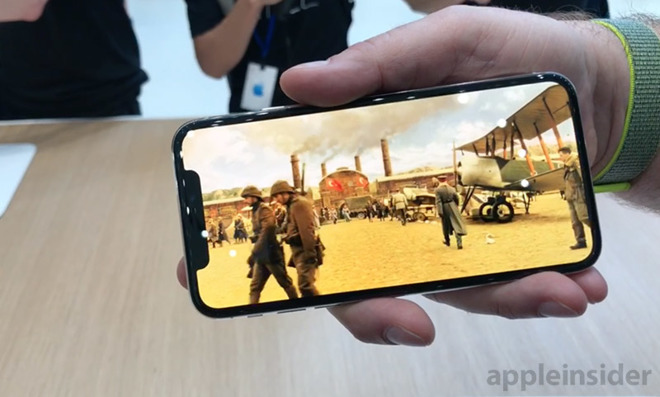 In a report seen by AppleInsider Daniel Ives from GBH Insights sees the possibility of a super cycle being generated by the iPhone X and its array of technologies. However, he also believes that Apple is in the midst of a "white knuckle" period, with the level of success that the iPhone X will have impacting the future greatly. Ives believes that the iPhone X is the potential "game changer" that may fire up the so-called super-cycle of demand. While the iPhone 8 may be "slow out of the gates" based on collated data —that is expected given that Apple unveiled the iPhone X at the same time. Questions circling the release are how much will customers be willing to pay for the new phone, what does the upgrade cycle predict for the installed base, and how large a factor China's consumers will play. China is expected to account for about 25 percent of Apple's total revenue in fiscal year 2018, with expectations that it will grow to 30 percent by 2020. The "sticker shock" of the iPhone X may be a factor, writes Ives, but he believes that the iPhone X will light a fire under middle-class and wealthy Chinese shoppers who have not committed to one platform or another. Services have been a major source of Apple's revenue for the last few years, and Ives expects them to continue to expand. Fiscal year 2018 services are predicted to hit $36 billion, a 20 percent year-over-year expansion. Ives expects that there will be sufficient uptake of the iPhone 8, iPhone 8 Plus, and iPhone X for the next 12 to 18 months to fuel its next leg of growth. As a result, a stock price range of between $160 and $175 is expected. In a "bull case," Ives believes that a major average selling price increase driven by initial demand for the iPhone X, coupled with a resurgence in China could lead to a stock price up to $230 in the next year. However, should the iPhone X "not bear fruit," then Apple may lack the growth catalyst that would be needed to fire up a super-cycle, and Apple stock would drop to as low as $135, with "much diminished earnings power" for the 2019 fiscal year, and going forward.